We meet in the Richland Community Center. All our classes are for boys and girls. We can help your student’s love of dance grow in a positive environment. Creative Dance - focuses on learning through play and the 4 principles of dance: Body, Energy, Space, Time. Rhythm & Music - uses dance, singing and instruments to teach basic musical concepts. Technique & Choreography - teaches contemporary, jazz, and ballet technique while also incorporating choreographic elements. 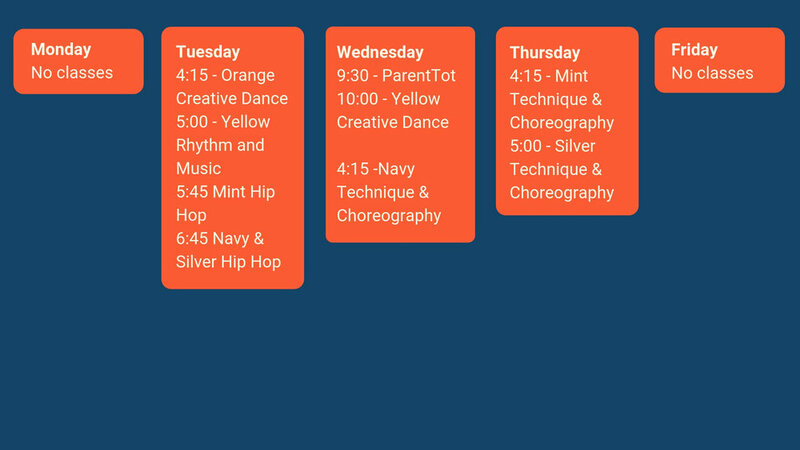 Hip Hop - high energy, family friendly class for kids who love to move and groove. Note: The amount of experience your child has in dance does not affect their level. Our teachers are highly skilled in teaching multi-level classes.